4 Bedroom Semi Detached House For Sale in Dover for Asking Price £300,000. 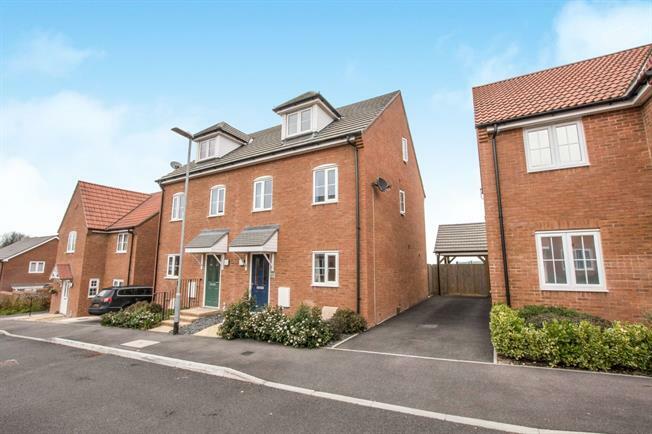 This Four Bedroom Semi-Detached Town House makes the perfect family home and still has over 6 years left on the NHBC warranty. There is a great sized modern kitchen/diner at the rear of the property with a full range of integrated appliances and French doors out to the garden. The living room is at the front of the house and there is a ground floor cloakroom. Upstairs there are four bedrooms and a family bathroom, there is also an en-suite to the master bedroom.